In recent times ‘salesmen’ and ‘saleswomen’ have gained more credibility as professionals in their own right. However, this has been a more difficult endeavour than for others; Insurance sales, car sales, estate or lettings agents and often recruitment consultants have all at various time been tarnished with the ‘maverick’ brush. Poor sales people are certainly not limited to these professions nor are all of the people who operate in those industries all ‘mavericks’...but we are all aware of the associated stereotypes. So how as a sales professional can you avoid being unprofessional in your industry and more than that, become a sales success? As the genius Buckminster Fuller once said: “Integrity is the essence of everything business.” The word integrity itself is thrown around fairly loosely but the importance of its application to business and particularly to sales is immeasurable. Sales is a multiply repeated game and cheating or lying might gain you immediate payoff, but you will definitely hurt your long-term prospects. A successful sales person will earn trust in order to turn their one time customers into long term clients and thus benefit from a perpetual income stream. Especially in the vital moments you first meet a prospect, listening is up there in the most important qualities of a top sales professional. You have no idea whether your product or service is going to be of any use to your prospect so what have you got to talk about? Throughout your relationship with your prospect (and even when they become your client) remember to listen! 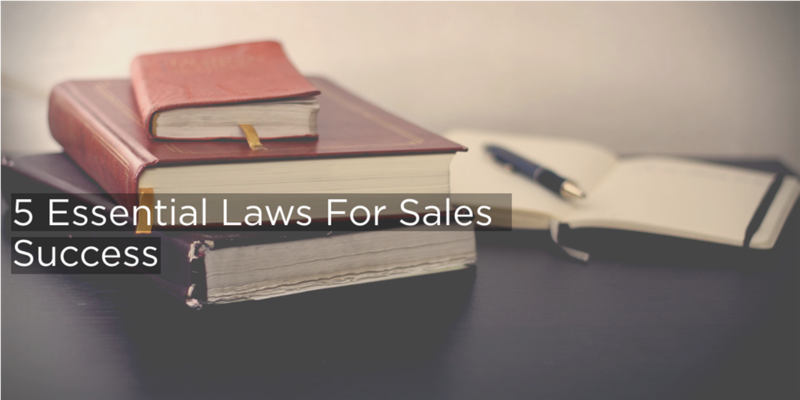 And above all...don’t recite your sales pitch! Once the client has finished telling you their needs they will be far more inclined to want to hear a solution and trust that you know their pains! By asking questions the prospect is effectively giving you their reasons why they should buy from you. You can use this information wisely if they have any resistance later in the meeting to remind them how urgent it is that their business problems are addressed. ‘Selling with questions’ is also a less threatening way to approach a prospect. When we feel as though we are being sold to we naturally put up barriers, questions if put well will not cause this barriers to go up. Do remember however, you’re not asking questions for the sake of asking questions. You want to know about them, you are on a fact finding mission to establish if you can help them. Avoid the temptation and tendency of a lot of sales people to switch into ‘sales mode’. Prospects want authenticity as authenticity builds trusts. The sales people who try to sell with ham-handed persuasion clichés and taglines are rarely the successful type. Todays professional selling environments demand more than affected speech patterns, exaggerated tones and slow hypnotic sounding ‘sales inductions’. Speak normally (and of course appropriately) as if you are around your friends and family. Don’t see this part of the meeting as the ‘sales close’ because a sales close puts the ball in your court and not in theirs. This is not where you want to be- you want the focus to be on them and not you. You don’t at any point want to remind the prospect that they are dealing with a ‘sales person’. You are not a sales person, you are a human being offering a particular product or service. If you can get your prospect to understand that you are well on your way to becoming an outstanding sales person. Darren is a Founding Director of Aaron Wallis, a national recruitment agency specialising in sourcing sales and marketing staff. Prior to setting up Aaron Wallis, Darren spent 6 highly successful years in sales and field sales, before joining a £0.5BN recruitment group where in his first year he set the record for the highest performing consultant by billings. With a wealth of experience both as a sales professional and a sales recruiter, Darren knows first hand what top sales staff look like, as well as how to help sales professionals advance in their career. Darren specialises in large-scale recruitment projects as well as business development. Find out more about Darren here.